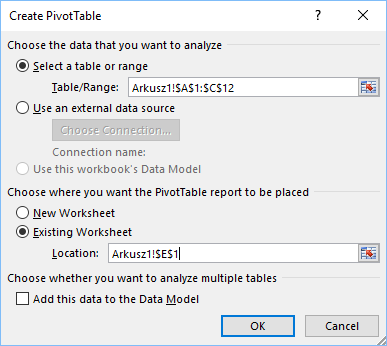 In order to count unique values in the Pivot Table, you have to do the following steps. 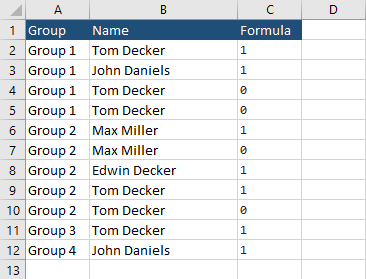 Copy the following table into Excel (get the file). In the cell C2 enter the following formula. Autofill for the rest of the cell in column C.
Click inside the table and go to Insert -> Tables -> Pivot Table. 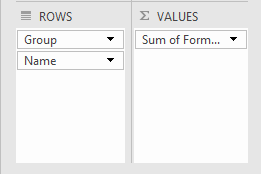 In the Create PivotTable window use the following settings and click OK. 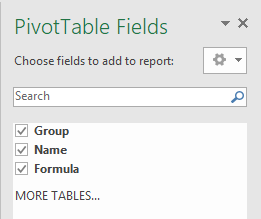 In PivotTable Fields on the right side check both positions (Group and Name). Drag fields between areas, as shown on the image below. Now, you should see the following result.